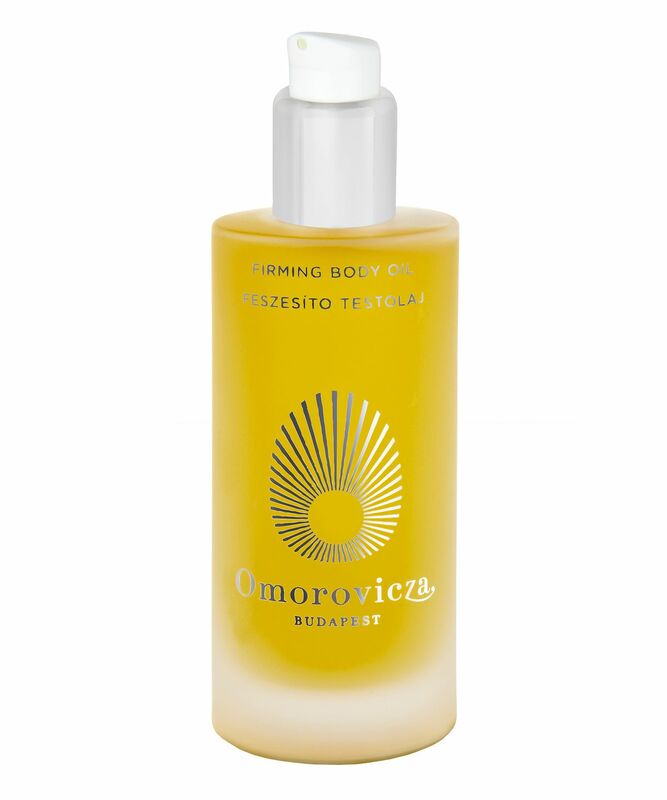 A rich, vibrant product, this firming body oil smells heavenly - invigorating the senses with the beautiful bouquet of rosemary, chamomile and geranium. The beauty of oils (over creams) is that no stabilisers or preservatives are needed, making this a very natural product. The key skin repairing element is calendula oil which, teamed with almond and apricot kernel oils works to restore elasticity and tone while the rice germ oil, combined with vitamin E, protects against free radical aggressors to keep your skin feeling super supple with a youthful 'bounce'. Use after a bath or shower for best moisturisation results. Only a small amount is needed, warm in your hands and then distribute over your body sweeping in circular movements towards the heart. If you exfoliate before this treatment you will find the oil draws into your skin better for a glowing, toned complexion. Jojoba Oil, Rice Germ Oil, Caprylic/Capric Triglyceride, Squalane, Apricot Kernel Oil, Sunflower Seed Oil, Prunus Domestica Seed Extract, Calendula Officinalis Flower Extract, Sage Oil, Geranium Flower Oil, Chamomile Flower Oil, Rosemary Leaf Oil, Linalool, Limonene, Geraniol, Citronellol, Citral, Tocopherol. Although I am not crazy about the fragrance of this oil I do love how it feels on the skin. It's so easy to apply and the skin seems to absolve it quite quickly. It leaves me with a relaxing feeling after application and the softness of the skin lasts all day long. I also find that my skin is much more hydrating even on days when I don't use it. Overall a great product and I would only change the fragrance which I find overpowering. The beautiful aroma hits you straight away. It feels like a nourishing treat for your skin and a little really does go a long way. The effects last all day too. Excellent product which I will definitely buy again. What a wonderful natural solution to day-long soft skin. The bottle doesn't look so big, but I was surprise how well it lasts. I have slowly become hooked.